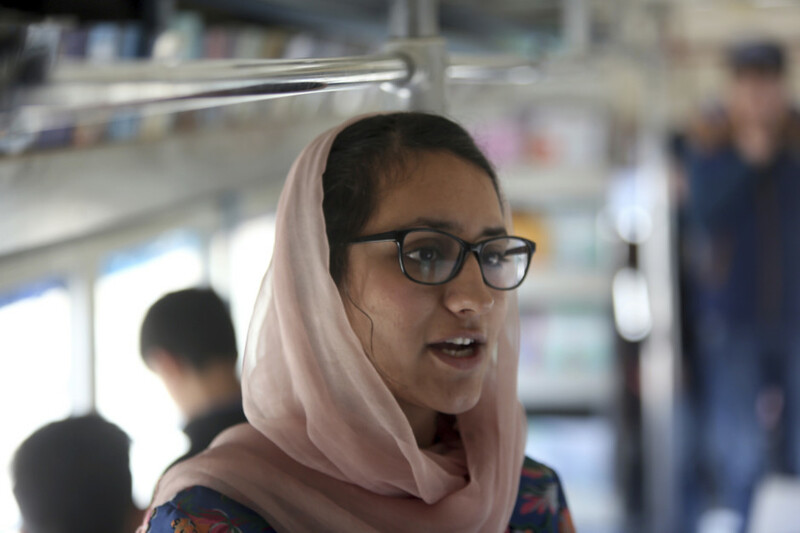 London: Undeterred by the risk of suicide bombers, 25-year-old Freshta Karim travels around Afghanistan’s troubled capital every day in a big, blue bus to share the magic of reading with children. 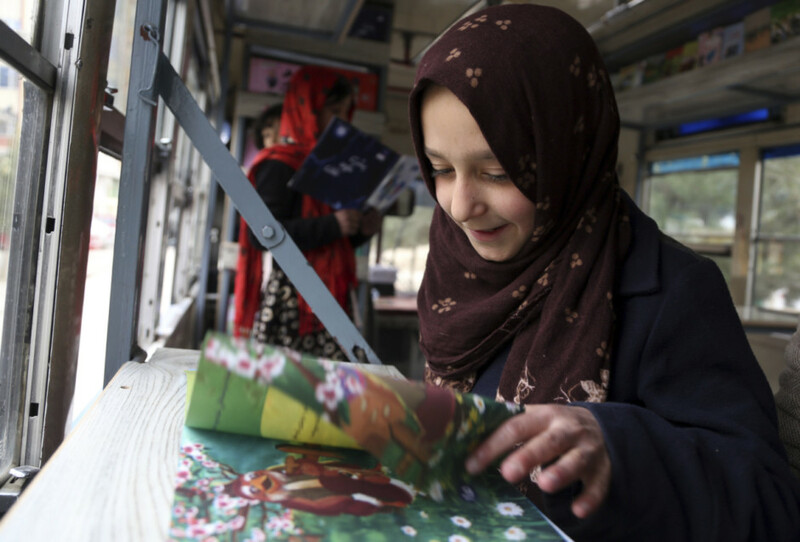 After graduating from Britain’s University of Oxford, she set up Kabul’s first mobile library to let some of Afghanistan’s 3.5 million out-of schoolchildren — mostly girls — listen to stories and pore over picturebooks. “When I was a child, I did not have the opportunity to go to a library,” she said by phone from Kabul. Afghanistan has one of the world’s lowest literacy rates, with only three in 10 adults able to read, according to United Nations cultural agency, Unesco. Karim set up the Charmaghz — meaning walnut in Dari — mobile library with three friends in January in a bus rented from the government, and painted it with colourful symbols to attract children. They installed bookshelves above the windows and chairs and desks for children and adults to sit and read — a luxury in a country where four in 10 schools do not even have a building, according to Human Rights Watch. A sign over the windscreen reads “4 Maghz”, or four minds, to spark the interest of passers-by. “We intentionally did it to provoke the people’s thought,” said Karim, who went to school as a refugee in Pakistan and then won scholarships to study abroad. Naweed Hamidi, who lives in northern Kabul, heard about the mobile library from relatives. “My 12-year-old son keeps asking me almost every day about the mobile library,” he said. “By putting a fee for the service, I encourage the children to value their time they spend in the library.” Street children who cannot pay can donate a drawing or painting, she said. It is not yet clear whether locals will be able to keep the mobile library running, but Karim is optimistic. 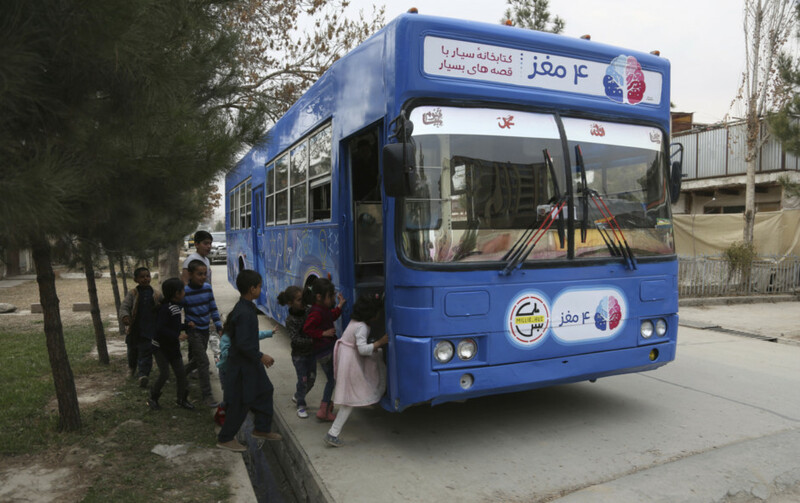 “The other day an army officer brought his young son into the bus and read him a book,” she said, adding that he donated 20 afghanis (Dh1.06; $0.29).